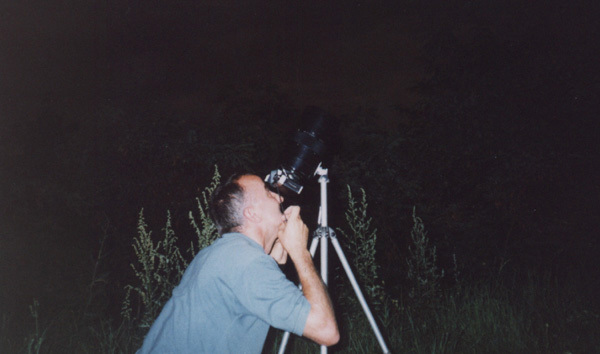 In this article I would like to describe my a few years adventure in the Krosno branch of Polish Society of Amateur Astronomers, where I could develop my noble hobby. Except for my activities I want to show the best and the most unique observations made by members of this society in Krosno region. Krosno is a town located in south east part of Poland in Subcarpathian region. 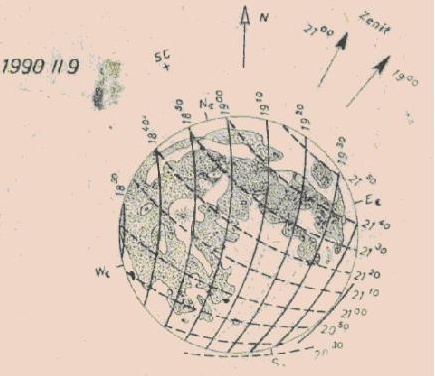 Krosno branch of Polish Society of Amateur Astronomers was established in 1953 by amateur group led by Jan Winiarski, who was the biggest popularizer and animator of the astronomical observations in Krosno. In that time he used to arrange a public stargazing on the market, that gathered a tens people from the city and environs. Except for stargazing a lot of lectures took place in that time. 1954 – Total solar eclipse in Sejny, north east Poland. 1957 – The last segment of carrier rocket, that lifted a first artifical satellite into orbit. 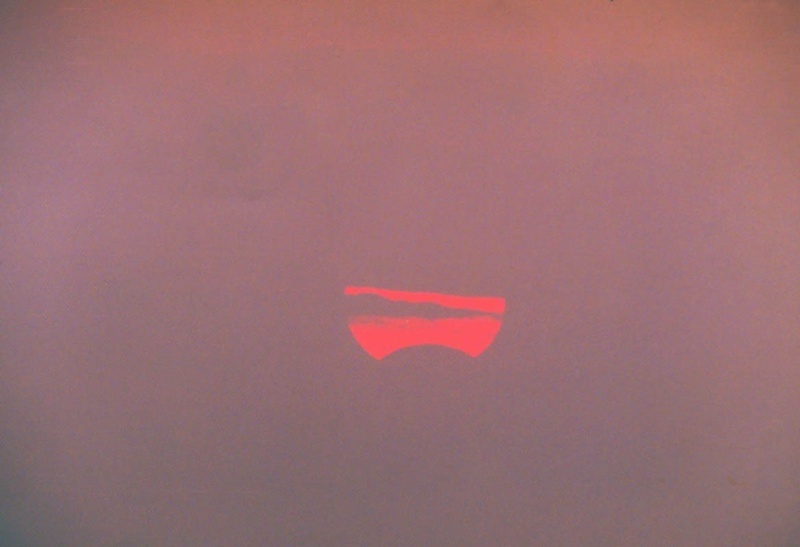 1985 – Total lunar eclipse in Krosno. It was a groundbreaking observation for the Krosno branch because the observers had a new Newton 250mm telescope. 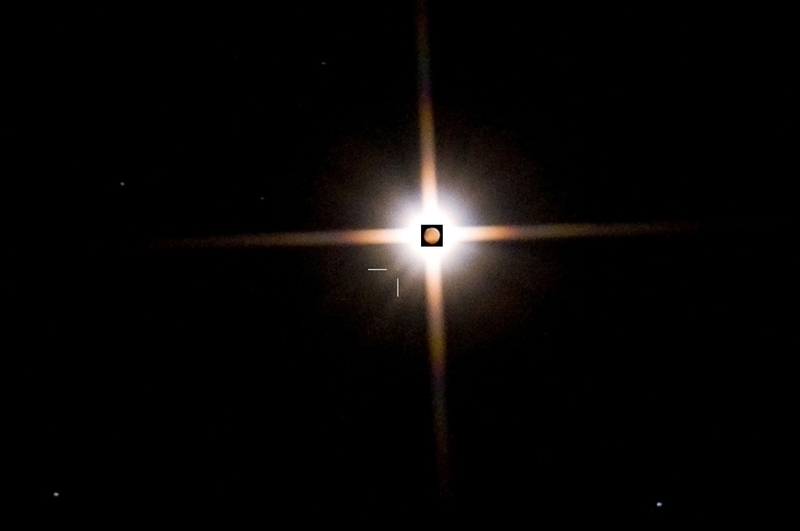 They captured a first pictures of the eclipsed Moon. On top of that they reported a 5 9mag stars occultations during the eclipse, that was only one observation in Poland during that eclipse. Pic. 1 A partial phase of the total lunar eclipse captured in 4th May 1985 by Grzegorz Kiełtyka. 1986 – Halley’s Comet, professional observations, which was handed to the Halley’s Comet Museum in Pasadena, CA. Those observations were carried out between November 1985 and May 1986. Pic. 2 A members of Krosno branch listed in “The Archive of The Amateur Observation Network of the International Halley Watch Vol. 2”. 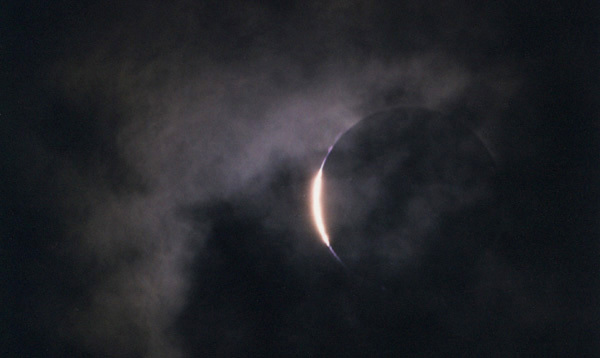 1988 – The Venus occultation. It was a very nice 84 seconds lasting phenomena. Pic. 3 The Venus occultation in 1988 observed by Józef Lubas. 1989 – The 28 Sagittari (Sgr) occultation by Titan. It was a very rarely celestial event. The brightness of the 28 Sgr star dropped from + 5,4 mag to 8 mag. 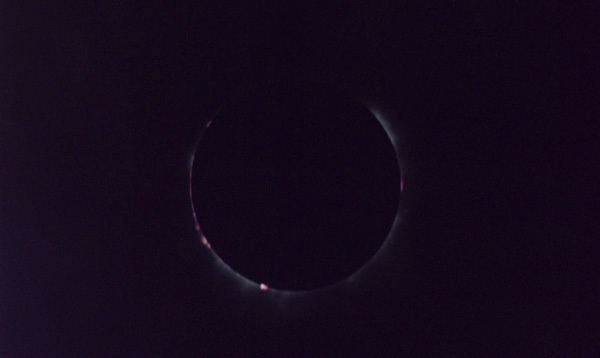 1990 – Total solar eclipse expedition, Bielomorsk in North Russia. It was a astro tourist journey for 50 people both from Poland and Latvia. Due to the cloudiness during totality it wasn,t successful hover the trip included many places e.g. Riga and the Pulkovo astronomical observatory. Pic. 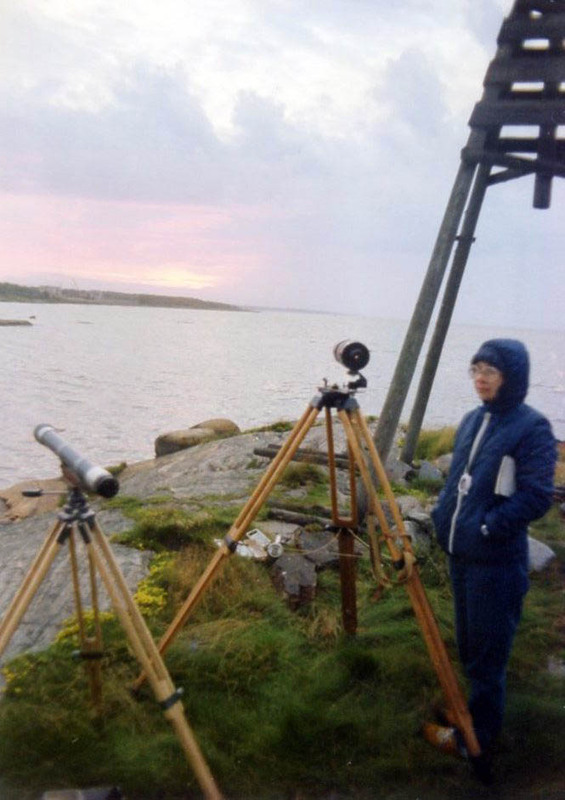 4 Total solar eclipse observation in Biełomorsk 22.07.1990, phot. Grzegorz Kiełtyka. Pic. 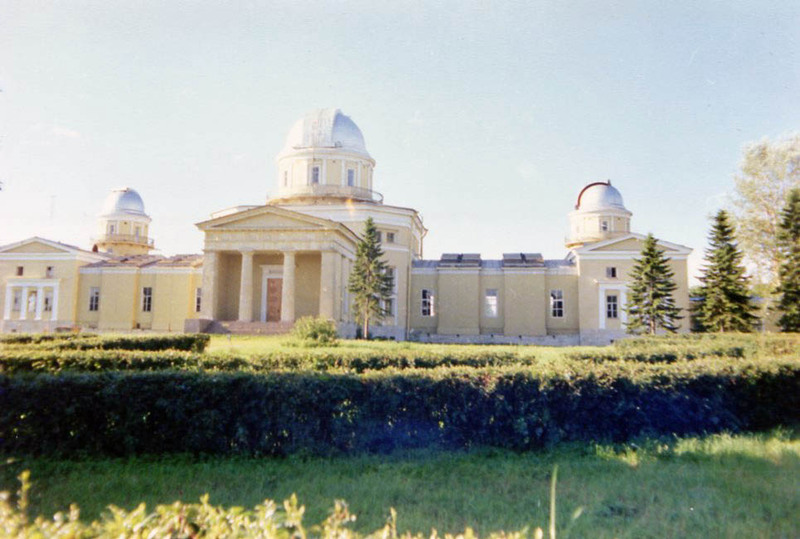 5 The Pulkovo Astronomical Observatory in July 1990, phot. Grzegorz Kiełtyka. 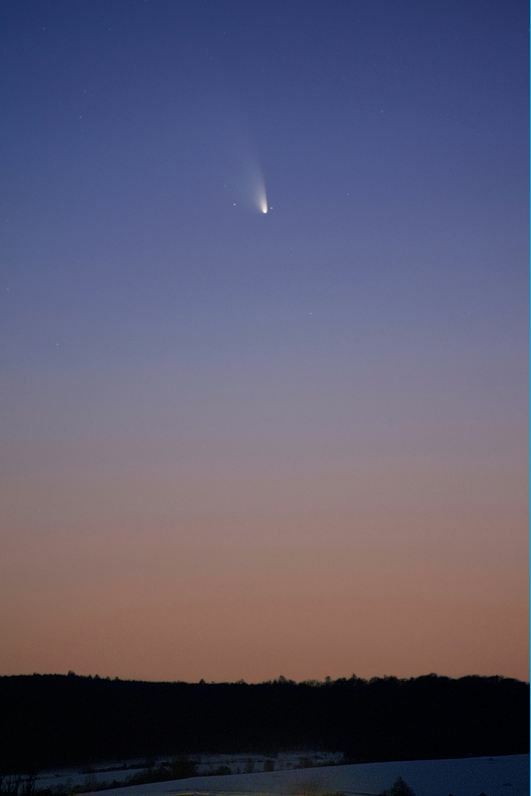 1990 – Shoemaker – Levy Comet observations, which contained 30 separate measurements of brightness and location on the sky. The biggest measured brightness was +4,2 mag. This comet was more representative than another one occurring in that time – Austin. 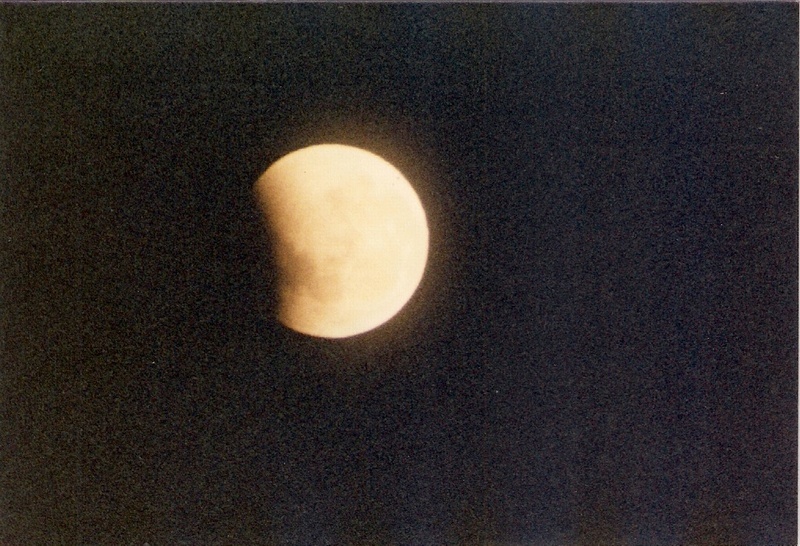 1990 – Total lunar eclipse in Krosno. 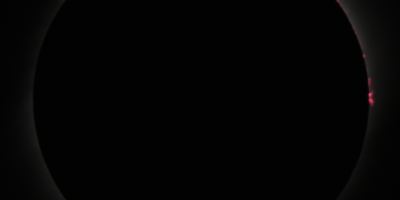 There was a bright eclipse with 3-4 Danjon Scale. Observation successful in spite of partial cloudiness. Pic. 6 The Isochrone map of the lunar eclipse before 2nd and after 3rd contact made by Józef Lubas. 1993 – Grazing solar eclipse observation. The grazing solar eclipse occurs more or less with same frequency like total one at certain location. 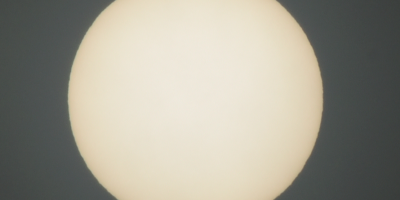 During that observation Moon covered the Solar disk for around 24 minutes only, giving around 1% obscuration. Pic. 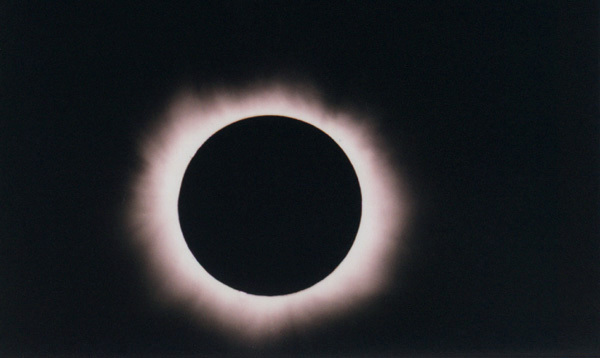 7 The maximum eclipse on 21st May 1993, phot. Mariusz Świętnicki. 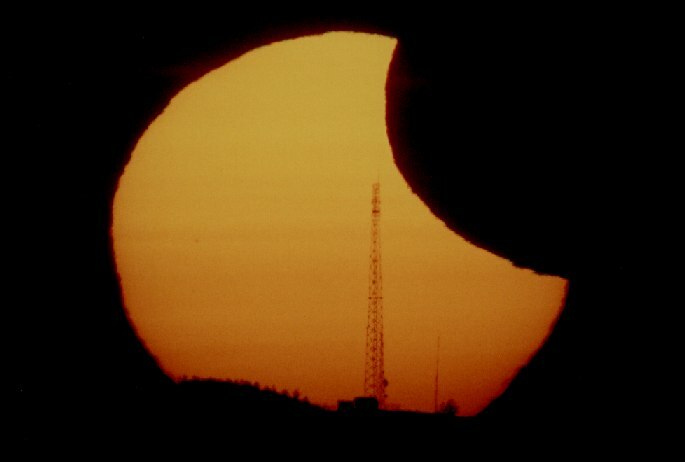 1994 – Partial solar eclipse observation, which was unique because the members of the Krosno branch managed it from the Sucha Gora TV tower making it the highest located PSE 1994 official observation in Poland on that moment. Pic. 8 Partial solar eclipse just before sunset seen on 10th May 1994 from the Sucha Góra TV tower, phot. Grzegorz Kiełtyka. 1999 – Total solar eclipse expedition, Mako, South Hungary. It was a 3rd reported total solar expedition managed by members of the Krosno branch. 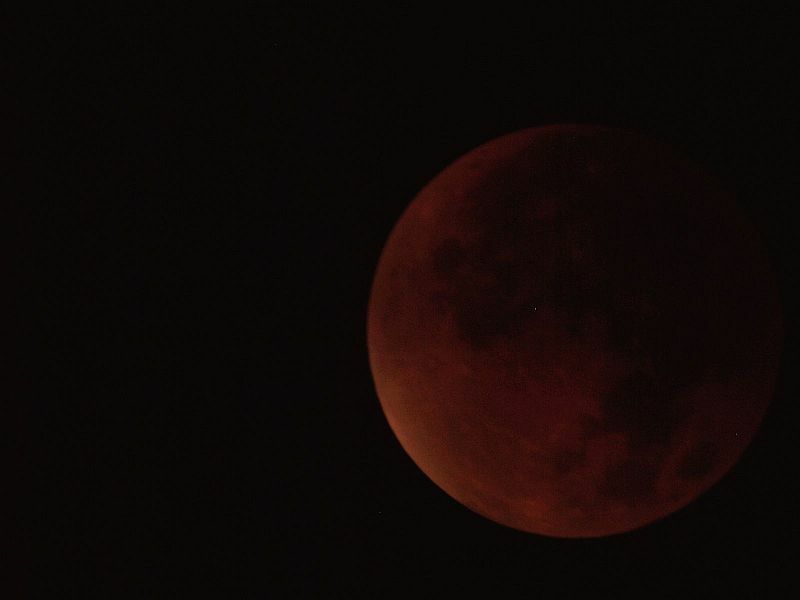 Except for a few persons, who went to Mako another stuff decide to watch the eclipse from different locations: Wacław Moskal went to France and Mariusz Świętnicki to Balaton. Both Mariusz Świętnicki and a group from Makó (except for Gregorz Kiełtyka, who measured a temperature changes during the eclipse) were successful because they caught a clear section of sky with the eclipsed Sun. Pic. 9 Total solar eclipse in Makó, 2nd contact, phot. Wiesław Słotwiński. Pic. 10 Total solar eclipse in Makó, corona, phot. Wiesław Słotwiński. Pic. 11 Total solar eclipse in Makó, chromosphere, phot. Wiesław Słotwiński. 2003 – Transit of Mercury was very interesting and gathered around 30 people in Krosno. 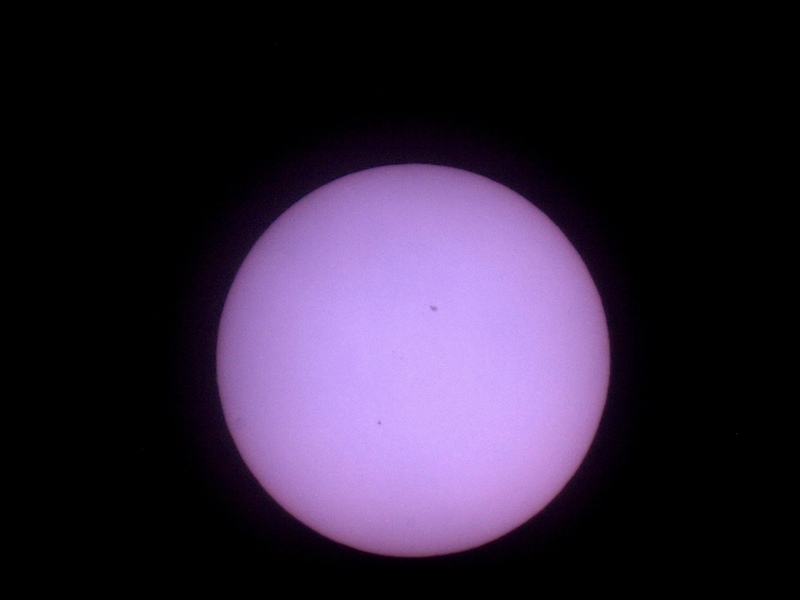 The transit lasted around 5 hours. 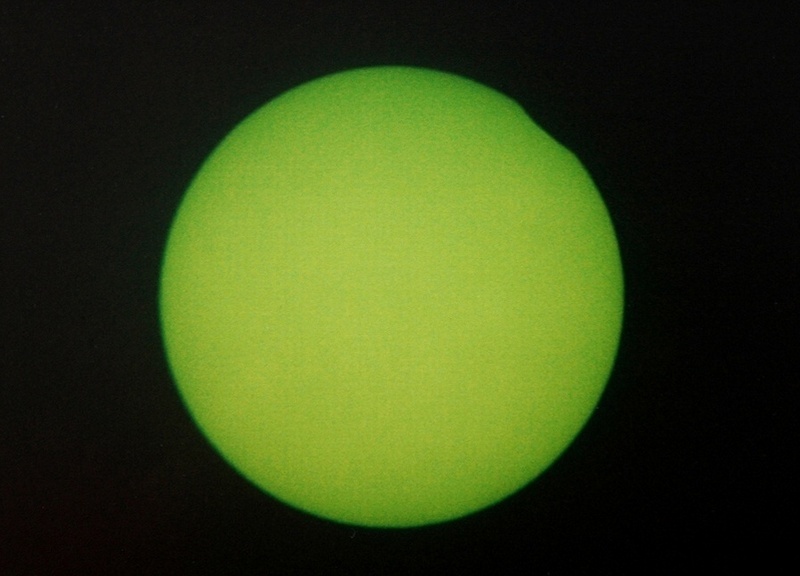 2003 – Partial solar eclipse, that occured during the sunrise. It was a very nice looking phenomena with crescent Sun rising above the mountainous horizon of the Dynowskie Foothills. Pic. 12 The sunrise of partial eclipsed Sun on 31st May 2003 above the Dział beacon with BTS tower on the top, seen from Zręcin, phot. Jacek Adamik. 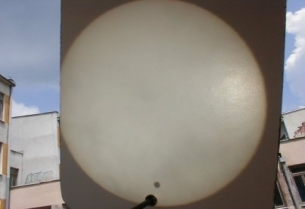 2004 – Transit of Venus, Jaslo. It was a first observation, which took place with pupils from Primary School Complex No 3 in Jaslo. This school was one of the several places in Poland, where the Transit of Venus observation was carried out officially. Pic. 13 The Transit of Venus seen from the Primary School Complex No 2 in Jasło, phot. Wacław Moskal. In general the Krosno branch of Polish Society of Amateur Astronomers carried out many observations of star & planet occultations, grazing occultations and conjunctions. The most active members in that time was Józef Lubas, Gregorz Kiełtyka, Witold Kosiek, Jacek Adamik, Wacław Moskal, Wiesław Słotwiński and Mariusz Świętnicki. Jan Winiarski – an founder and chairman the Krosno branch of Polish Society of Amateur Astronomers since 1968 to 1983. He was the biggest astronomy popularizer in Krosno region in post-war period. Pic. 14 Jan WIniarski (1899-1991) a founder of the Krosno branch of Polish Society of Amateur Astronomers. Witold Kosiek – a chairman since 1983 to 1990. He made a Newton telescope 250/1560mm by himself. Due to this he was able to involve a tens people in astronomy and start to carry out much more technical observations. Grzegorz Kiełtyka – a chairman between 1990 and 2011, who used to watch the comets and stars occultations. This is a person, who got in touch with Neil Armstrong through the Sky &Telescope magazine and next David M. Quint – amateur astronomer from Atlanta, GE. 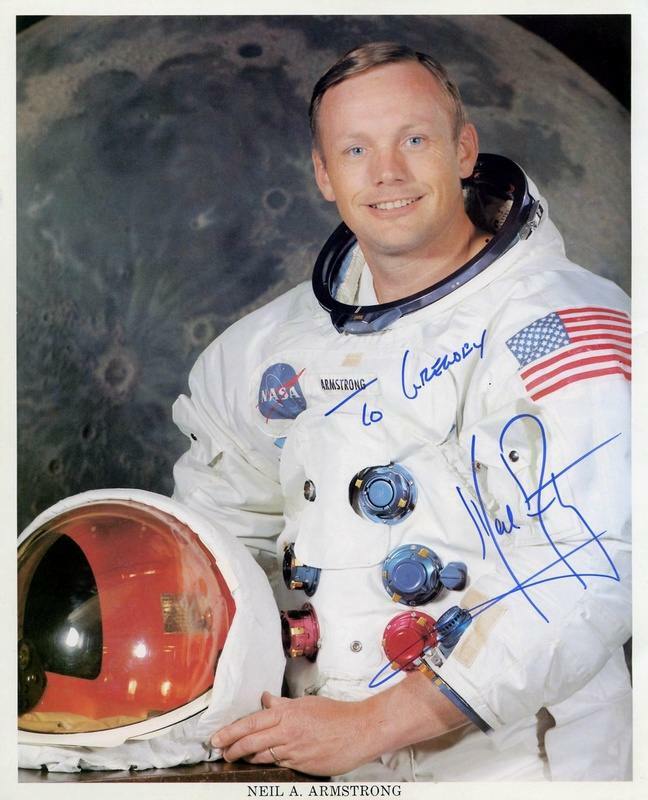 David was able to meet Neil Armstrong, who gave his own autographed portrait for Grzegorz signed: “To Gregory Neil Armstrong”. Pic. 15 Neil Armstrong with his own autograph sended to Grzegorz Kiełtyka in 1983. Józef Lubas – an active member, who observed many occultations, eclipses and comets. One of the most interesting observations managed by him were Sirius heliacal rising in late August. 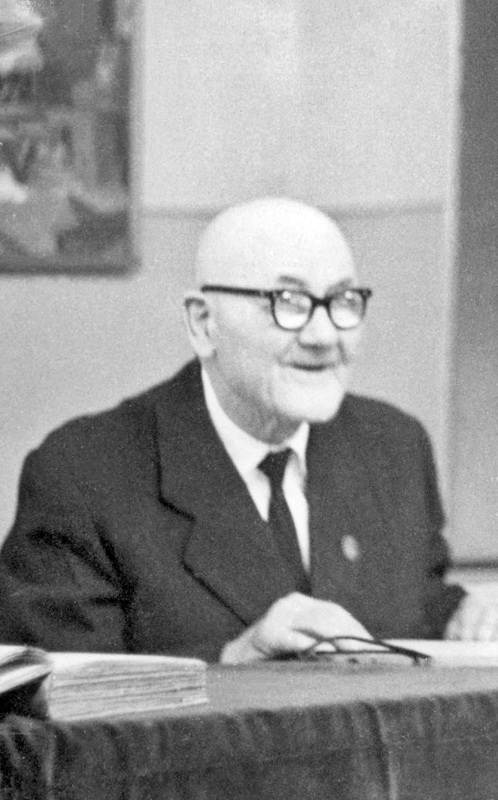 Wacław Moskal – astronomy popularizer and Comet watcher. He carried out the Halley’s Comet observation with another members of the Krosno branch. The results were published in “The Archive of the Amateur Observation Network of The International Halley Watch Vol 2”. Chairman since 2012. Now he is a cooperation leader with Primary School Complex No 3 in Jasło. Mariusz Świętnicki – astrophotographer and astronomy popularizer. He carried out a fantastic total solar eclipse observation on Balaton in Hungary leaving the thunder front behind a few hours earlier. Wiesław Słotwiński – He is a priest from Królik Polski with a big love to astronomy. He carried out many observations of eclipses, occultations and comets. Pic. 16 Wiesław Słotwiński capturing the total solar eclipse in Makó (Hungary), 11th August 1999. 4. The most actual period with my membership. Now let’s see the newest history of the Krosno branch of Polish Society of Amateur Astronomers, that covers the period since 2012, with a new chairman – Wacław Moskal. This time is a fruitful cooperation with pupils from the Primary School Complex no 3 in Jaslo aimed at the asteroidhunting mainly. The cooperation the Krosno branch with this school has been running since 2004. It’s worth to mention, that this branch of Polish Society of Amateur Astronomers is located in the Stanislaw Leszczynski Secondary School No 1 with astronomical observatory at the top of the building since 2011. The astronomical observatory in Jasło is the one of the biggest school’s observatory in Poland with 5,2 m dome. It has been built in 2010 thanks to “The Carpathian Sky” project. The Krosno branch includes a dozen or so active members, a few of them were listed above. Pic. 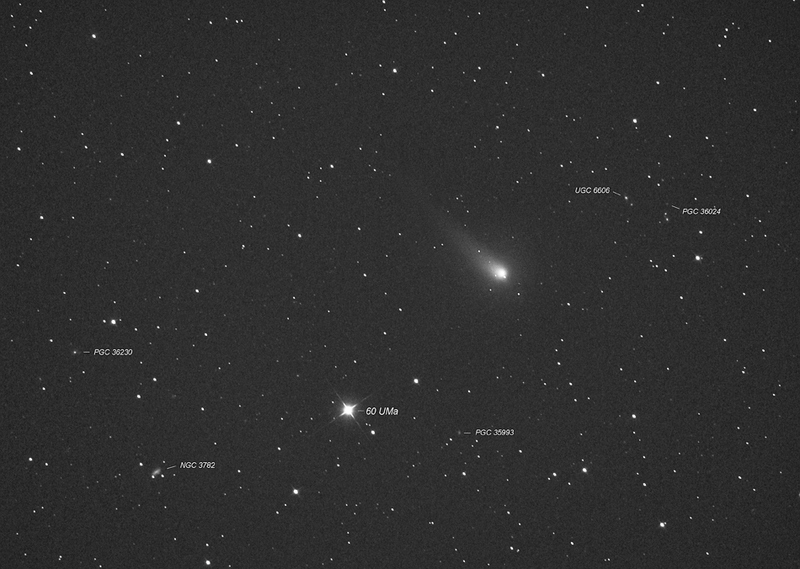 17 The comet C/2011 L4 (Pannstars) captured by Mariusz Świętniski on 13th March 2013. 2014 – The Supernovae in M82 observation was carried out during the foehn wind, that impacted on the photo sharpness, though the result was still awesome! Pic. 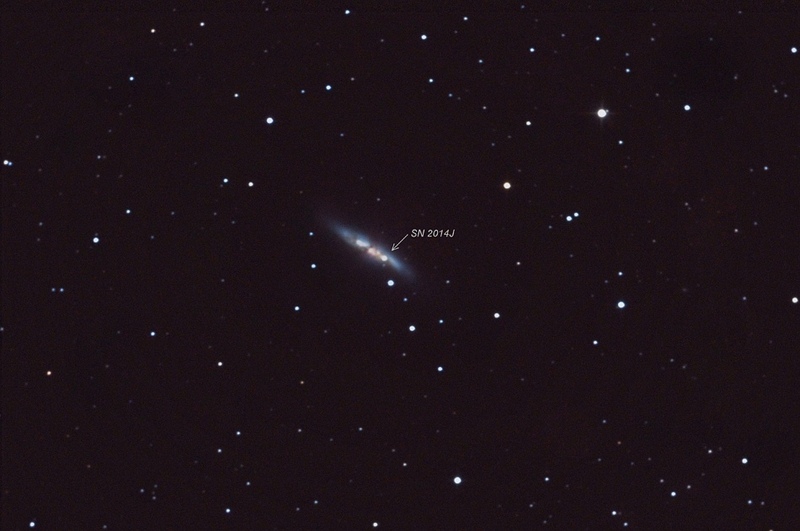 18 A Supernovae in M82 captured by Mariusz Świętniski. 2014 – The opposition of Mars observation shown fantastic details of the Red Planet with a Phobos moon. The observation was led by Mariusz Świetnicki and Jacek Adamik. Pic. 19 The Mars with Deimos captured by Jacek Adamik on 30th April 2014. Pic. 20 The Mars captured by Mariusz Świętniski on 30th April 2014. Pic. 21 The comet C/2012 K1 Pannstars captured by Mariusz Świętnicki on 19th May 2014. 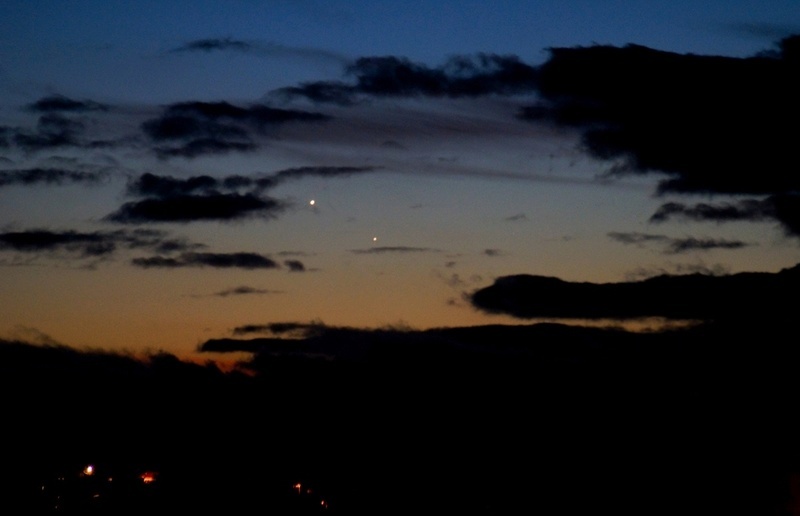 2015 – The Mercury and Venus conjunction observation usually happens rarely in Poland due to longitude. 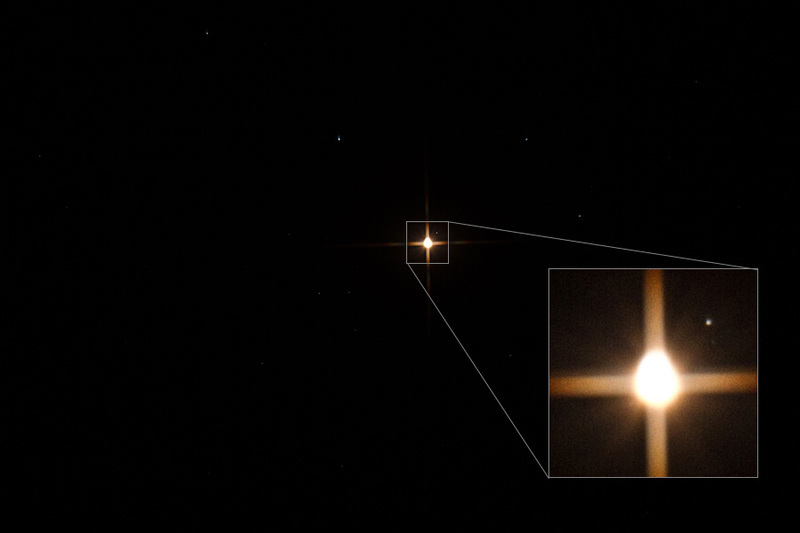 In january 2015 Mariusz Świętnicki was very lucky to see both planets in the 38 arc min distance. Pic. 22 The Mercury and Venus conjunction captured by Mariusz Świętnicki in Zręcin on 10th January 2015. Pic. 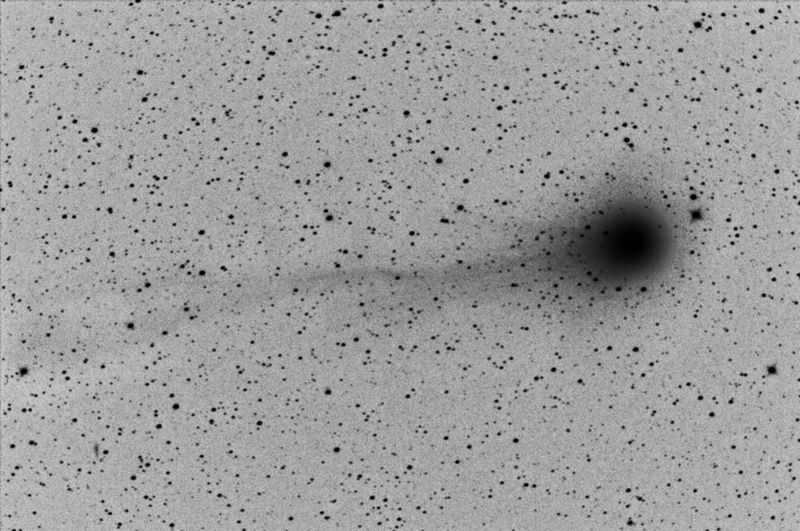 23 The comet C2014 Q2 Lovejoy captured by Mariusz Świętnicki (negative) on 30th January 2015. 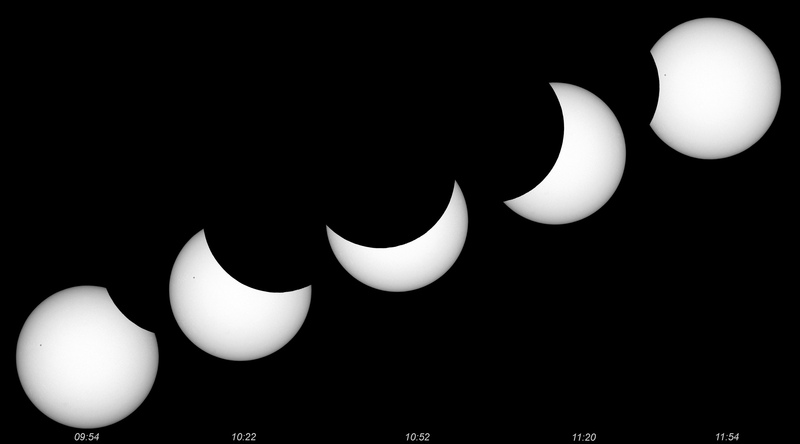 2015 – Partial solar eclipse observation was carried out in few locations. I also attached my report from Scotland (see details here). Pic. 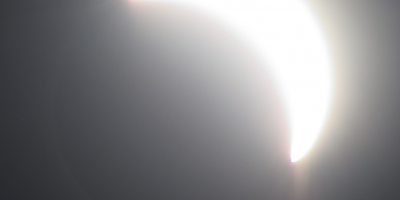 24 Partial solar eclipse on 20th March 2015 captured by Mariusz Świętnicki in Zręcin. Pic. 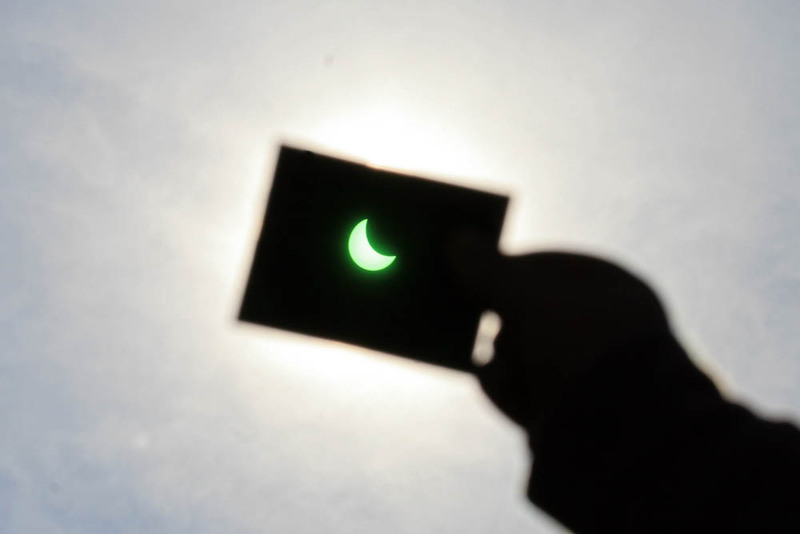 25 Partial solar eclipse on 20th March 2015 captured by Grzegorz Kiełtyka in Krosno. 2015 – Asteroid hunting within the Pan-STARRS program cooperation. It was a great success of pupils from the Primary School Complex No 3 in Jasło, who has been taking part in many asteroid hunting projects. That time they discovered 3 new asteroids. In general they used to discover a few new asteroids per year. 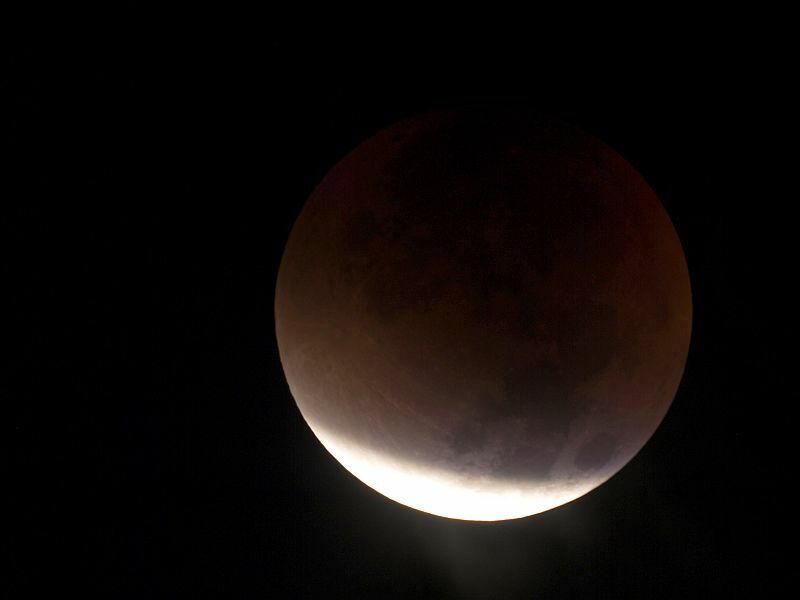 2015 – Total lunar eclipse observation was observed mainly from Jasło, Krosno and Zręcin. I sent my report from Cambridge (see details here). Pic. 26 Total lunar eclipse on 28th September 2015 seen from Jasło just before IInd contact, phot. Wacław Moskal. Pic. 27 Total lunar eclipse on 28th September 2015 seen from Jasło, phot. Wacław Moskal. 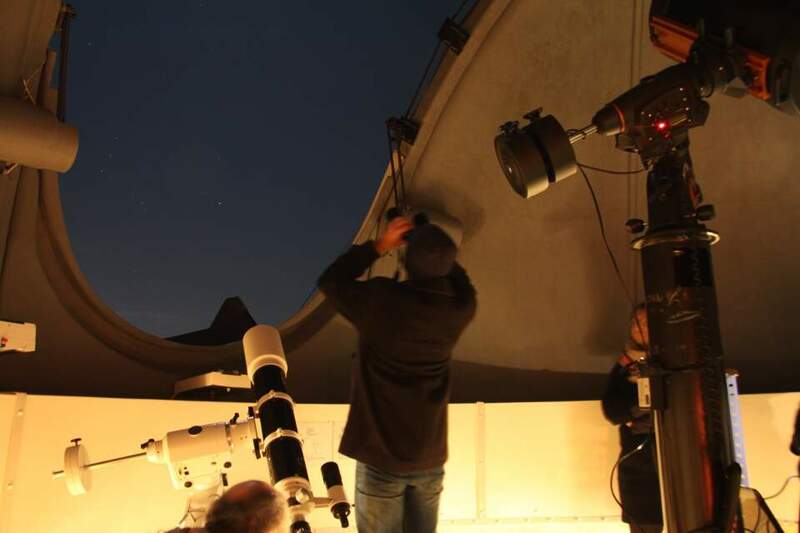 2015 – The Aldebaran occultation observation was carried out in astronomical observatory in Jasło. I was fortunate to take part in this event. Personally this occultation was perfect for me, because I saw the moment when Aldebaran dissapeared behind the Lunar disk. Pic. 28 The Aldebaran occultation on 23rd December 2015. I am watching the moment of occultation in the astronomical observatory in Jasło, phot. Wacław Moskal. 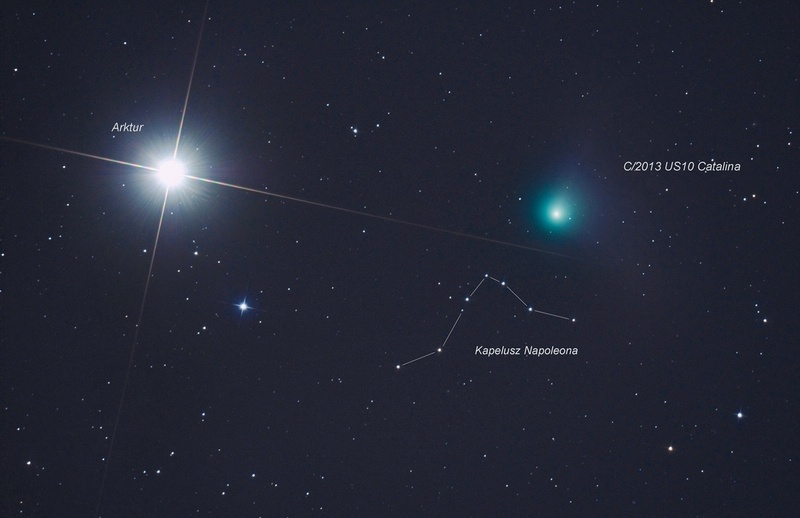 2016 – The comet C/2013 US Catalina observation was quite easy because this comet became 4th the brightest object on the night sky. Pic. 29 Location of the C/2013 US10 Catalina comet near to Arcturus star, just above the Napoleon’s Hat, phot. Mariusz Świętnicki on 1st January 2016. 2016 – The transit of Mercury observation was led by members of the Krosno branch in a few places. I also attached the results of my observation from Aylesbury (see details here). Pic. 30. The transit of Mercury on 9th May 2016 seen from Jasło, phot. Wacław Moskal. 2016 – The “Astronomy in school” international conference in Jasło, where the Krosno branch had pleasure to meet Sanjay S. Limay from the University of Wisconsin in Madison. Pic. 31. 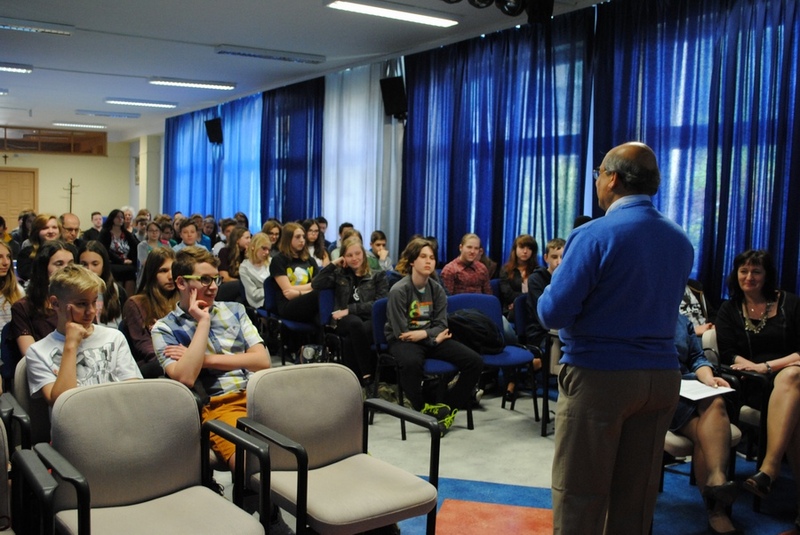 The “Astronomy in school” international conference in Jasło on 21st May 2016 with Sanjay S. Limay, phot. Wacław Moskal. 2017 – The Queen Jadwiga Astronomical Observatory day trip with visiting the space garden. There were mainly the pupils from the Primary Complex School No 3 in Jasło, members of the “Per Aspera ad Astra” school club. Pic. 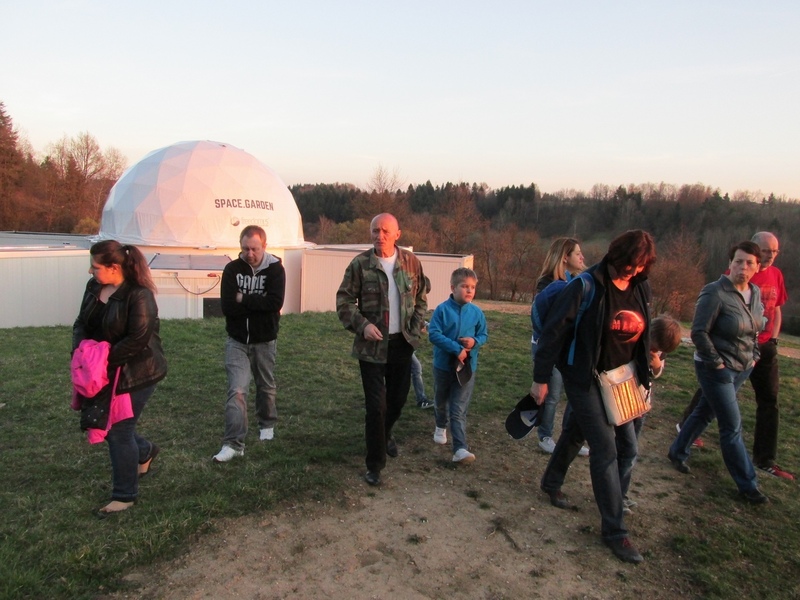 32 A members of the “Per Aspera ad Astra” school club next to the Space Garden on the Jadwiga King Astronomical Observatory in Rzepiennik Biskupi, phot. Wacław Moskal. 2017 – The Gamma Taurii grazing occultation and Aldebaran occultation in daylight observation. A few members of the Krosno branch went near to Dębica town in western part of the Subcarpathian Voivodship to see this grazing occultation. They used the CCD cameras to report the phenomena. 5. My involvement in Polish Society of Amateur Astronomers. The Gregorian Calendar, how to use? 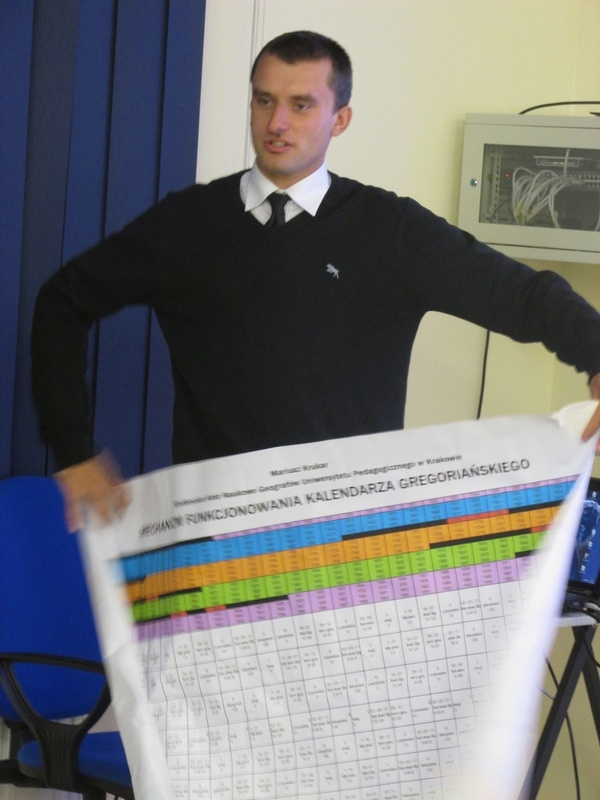 – already finished and referred during the LVI astronomical meeting on 22.11.2014. Pic. 33 I am showing how to use the Gregorian Calendar for long-term periods, 22nd November 2014, phot. Wacław Moskal. In result I created a few long-term calendars for 1601-4000 period (learn more here). Solar & lunar eclipses with strong focusing at the light distribution and changes in the atmosphere (learn more about it here). Pic. 34. 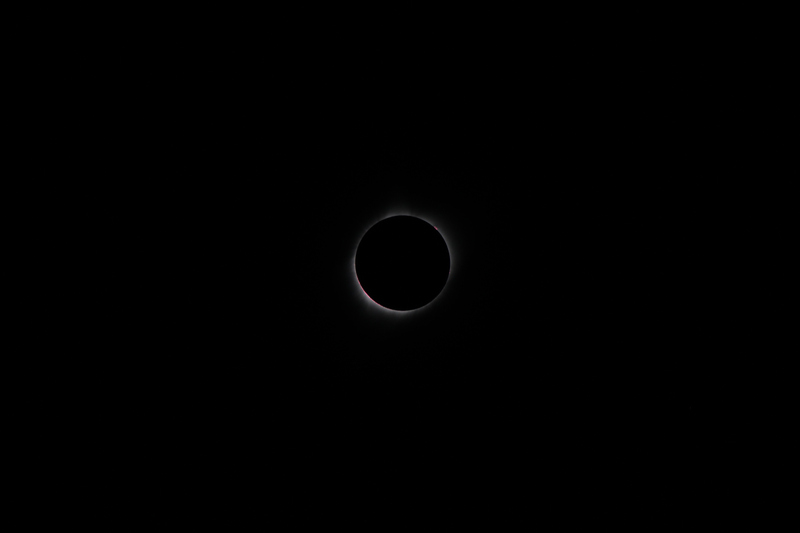 Total solar eclipse on 21th August 2017 near Soshoni village, WY, 1/2000, ISO 100, f.3.5, Nikon D5300, Nikkor 300mm. Twilights with concentration on the influence the twilight duration on the variability of the electricity consumption and impact on the astronomical observations on various longitudes (learn more about it here). Once I finish those projects I will start doing next ones for sure. Everything will depend on the ideas, spare time and equipment. Both the Krosno branch and whole Polish Society of Amateur Astronomers is a great place for self development, meeting awesome people and taking part in fantastic adventures. The Stanisław Leszczyński High School No 1 astronomical observatory in Jasło. The Queen Jadwiga Astronomical Observatory in Rzepiennik Biskupi.